I have talked about this year being the year of colorwork too many times, and, frankly, I’ve been obsessed with this idea for a while. I’m pretty sure my obsession with colorwork can be traced back to the first time I laid eyes on the Birkin. 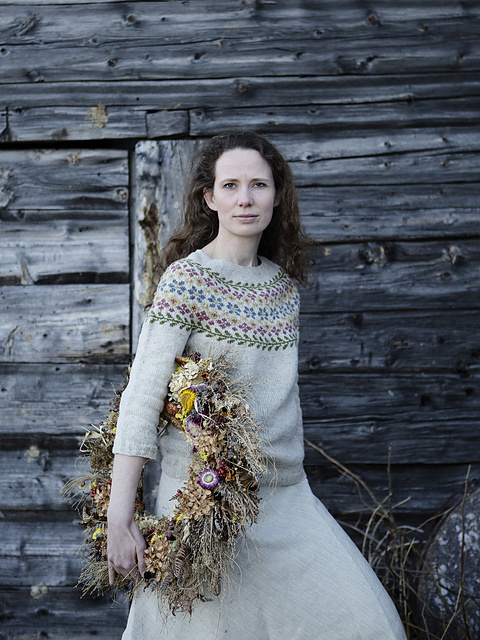 I’ve seen plenty of beautiful designs by now and have folders full of favorites on Ravelry. But, for whatever reason, I was never able to get this one out of my head. Maybe it’s the flower motif. Maybe it’s the yarn. Or maybe it’s the beautiful photography from Laine Magazine. Either way, I knew if I was ever going to make myself a colorwork sweater, this was going to be it. It so happened that my best friend, who is a prolific knitter herself, was just as obsessed with this sweater. So, we had a genius idea! We booked ourselves a weekend stay at a nice B&B in upstate NY and bought all the BT Loft we needed to make two matching Birkins! And, since we wanted them in the same exact colors, we decided to split the contrast colors between the two of us! My friend, because she’s extra awesome, packed an elaborate “picnic” for us, complete with home-baked croissants, cheese and crackers, homemade desserts, and all the fizzy drinks! And all we did for two days was sit in our hotel room, fireplace on, sipping drinks, talking about all the things, and knitting matching sweaters. With not a care in the world, it was pure bliss! Like a good pair of knitters, we spent an entire evening swatching. And since I had never knit colorwork before, this was a good chance to practice. By the end of my swatch, I felt like a pro at 2-color stranded knitting, and I was ready to cast on! What I didn't realize is how much more work the 3-color rows would be. Nothing that couldn't be solved with a few online video tutorials, though! So, we watched a Craftsy class I had purchased a few months back, Modern Stranded Knitting Techniques by Mary Jane Mucklestone, and proceeded with that beautiful yoke! My colorwork is definitely not perfect, but hopefully blocking will fix some of those tight spots. 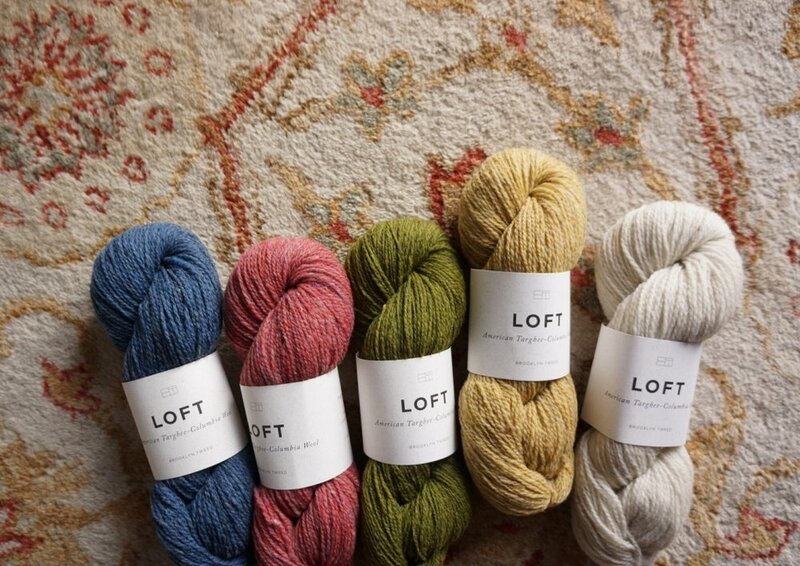 Now, can we talk about that yarn for a second? I had previously knit with BT Arbor, and absolutely loved it. But, Loft, oh my goodness, it is an absolute dream to work with! I can't even describe it, really. It feels so light and airy, and the perfect amount of rustic! I love finding all the little bits of hay still in it, and the surprising sparks of color that appear every now and again from the tweediness of the yarn. 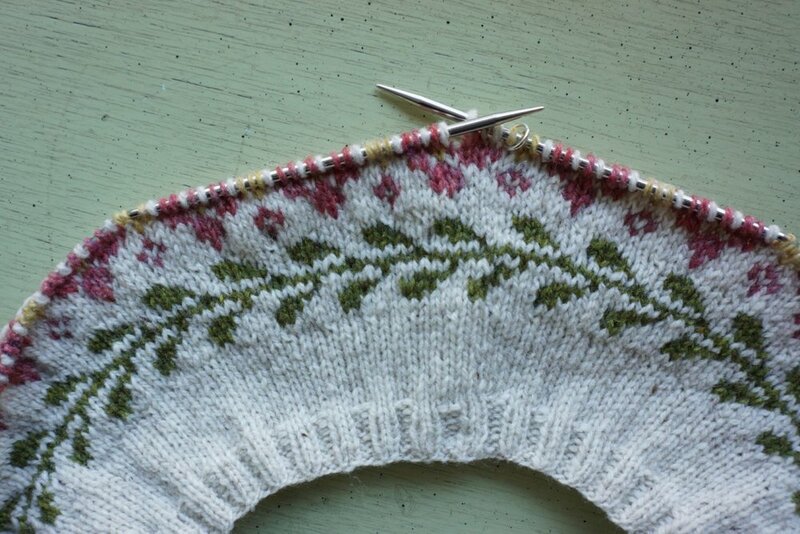 I seriously can't wait to finish this sweater, so I can put it on and never take it off! Plus, I'm thinking of making a mini version for Anya with my leftovers. How cute will that be?? ?